Okay, now this is gonna be good. 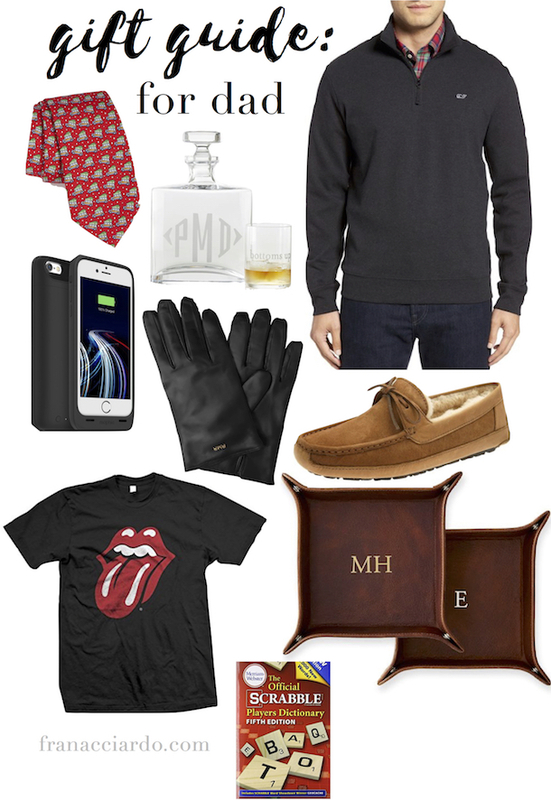 How many times have you seen a gift guide for guys, but you read it and you're just like, "none of this is going to work for 'him'"? Because, same. 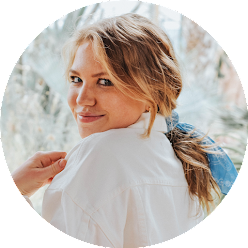 When I think of the "guys" I have to shop for, I think of my Dad, my brother, and my boyfriends, and even occasionally I think of my grandpa (but admittedly, my mom takes care of that one). 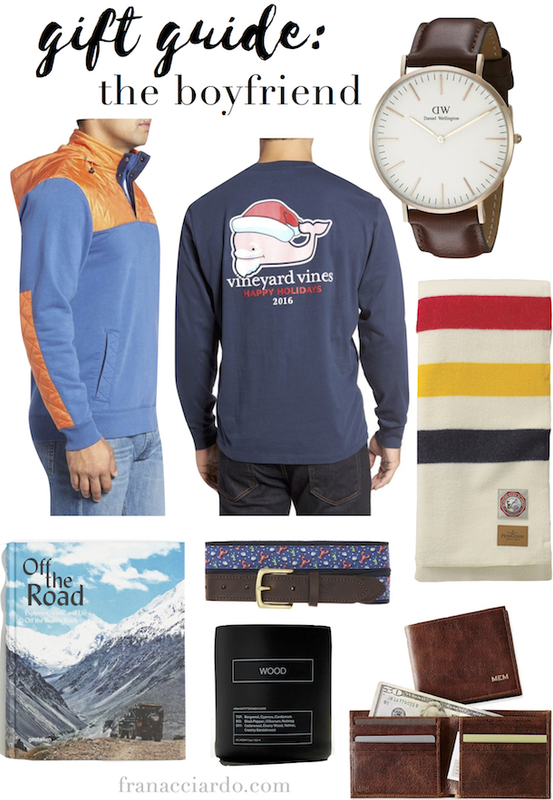 So, suffice it to say that one gift guide for all three of those guys just won't do! 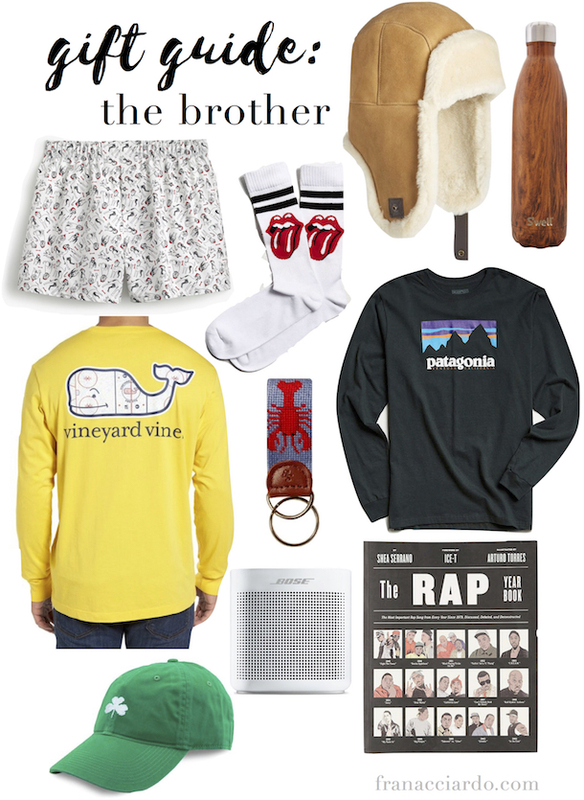 Below you'll find a gift guide for Dads, brothers, and boyfriends. First up: for dads. I feel like, at least in my case, I could get my dad anything and it would either be really funny or something that he'd find a use for and appreciate. Like, a Rolling Stones shirt (is everyone else's dad obsessed with the stones? ), a cocktail glass, even the scrabble dictionary! My dad treats his as his bible, not kidding... One year when I was younger I got my dad a snowball maker and we went outside on Christmas for hours throwing snowballs at each other. Anything makes them happy! For my brother, I usually just get him something smaller. We aren't too big into exchanging gifts with each other, but it's nice to give each other a little something because he is the most important sibling I have (albeit my only sibling :) Usually, for Adrian, since he's only a year older than me, I can find something simple and small that he'll like if it's tech-y or hipster... lol, we are so different. Lastly, shopping for your boyfriend... I find this the hardest not because I don't know what I want to get my boyfriend, but because I feel like half of the gift exchange is exchanging gifts that are "equal". It sounds a little superficial, but it's always a little awkward if someone really outdoes the other. So, below are an assortment of easy gifts that hit the whole spectrum from big to small! I bought a Vineyard Vines tie for my dad this year, and I know he's going to love it. Dads can be hard to shop for, but you've picked out tons of great gifts!